Happy Quilting: Terrific Tuesday Giveaway Day - My Christmas Gift to You!!! Wow how generous ! Thank you. I really enjoy your blog. Every morning I look forward to seeing what is happening in blog-land. I would like In Your Neighborhood . I have been looking at it for a long time. E-mail is elaine530@centurylink.net. Thanks again. Merry Christmas to you as well...and thank you for the generous gift! I would love to make Trade Winds! Thank you!! I would love True North. Thank you for the pattern. Merry Christmas! Wow you are so generous, Thank you in advance ,Merry Christmas to you & yours ,dawson57055@gmail.com I would love to receive " Summer Breeze". What a generous gift, thank you! I have in you neighborhood on my Craftsy wish list. The pattern Boxed in and Out is my choice. I think it would make a great Quilt of Valor for my group to make and then we could give the pattern away as a prize later. Thank you so very much. It has been a lot of fun following your blog. I look forward to what may come in the new year. This is a wonderful give a way. Thank You. I would love Petal Pop. That just looks like so much fun to make. What a lovely gift! I am a big fan of your patterns and would love Summer Breeze. goiahawks (at) gmail dot com. Happy Holidays! Thank you for your generosity. I like Petal Pop. Thank you for your generosity!! I would love to have your Turnovers pattern! My address is peacefulquilting (At) gmail dot com. How sweet of you. Hard to pick, but I really like Summer Breeze. My email is mccaffery@gionline.net. Have a blessed Christmas with your family. Thank you Melissa, how sweet of you! I love your patterns, and would love to have Simply by Design. Merry Christmas to you and your family. Thank you for your generous gift. I enjoy following your blog and see the ideas and things that you come up with. All of your quilts are fantastic, so it took me awhile to decide which one - True North is my choice. Thanks again. It was hard to decide--but I'd like Simply By Design. Thank you so much! Thank you so much, Melissa! I'd like Petal Pop. I've loved this one ever since I first saw it. Merry CHRISTmas to you and your family!! timbersmith63 at gmail dot com. Thank you for the generous gift. I choose In Your Neighborhood. This is an amazing gift you are giving us. This was a very hard choice to make but I'd like Braided Irish Chain. My email is jessbuter@hotmail.com. Thank you so much and Happy Holidays. I love them all, but I think I like Trade Winds the best. Thank you!!! Melissa, Merry Christmas and Happy 15th Anniversary, too. Thank you so much for a free pattern! I chose "Tradewins" please. What a wonderful gift. Thank you so much. I would love Trade Winds. And a Happy and wonderful holiday season to you. Thank you so much for your generosity and for just being you! Your blog is one of the few that I HAVE to visit every day. I bought your Irish Chain book as a present to myself and I love it! So many quilts in that book are now on my to do list LOL. Since I love rainbow quilts, it would have to be Simply By Design for me. Thanks again Melissa, Merry Christmas to you and your family. How truly wonderful and gracious of you! Thank you so very much. Trade Winds, please. What a wonderful gift. Thank you. You have so many beautiful patterns that I think all would be fun to create, but Starburst is calling to me right now. How kind of you! I would like summer breeze. Wonky Irish Chain please. You're a blessed lady and I feel so blessed to have discovered your blog. Merry Christmas. Oh boy, I'm excited about this and I do hope I win. I love your pattern for True North and would like that one should it turn out to be my lucky day. Thanks for the opportunity. Thank you so much! I would love your Back to Basics pattern. Merry Christmas! Melissa, Merry Christmas! I would love the Wonky Irish Chain. You are so generous, thanks for the lovely gesture. I like Trade Winds. I love your Christmas spirit! Thank you. I like Summer Breeze if forced to choose. :-) Happy Holidays & God bless your new year! I don't need a free quilt pattern, I have enough right now, in progress and wanting to be in progress, as it is. But I do want to say THANK YOU for all you do for this community. I wouldn't be where I am right now in my quilting journey if it weren't for you. Thank you for sharing each day what makes you happy. 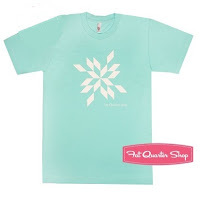 I already have Simply by Design (which would have been my first choice ;P ) and your Irish Chain Quilts book, so I'm going with the very pretty Starburst! Please e-mail me at lalaluu @ yahoo . com. Best wishes for a wonderful holiday season! I have a number of your patterns but I do not have Tradewinds.. and love the simple look of that quilt and would be great to make using up some of my scraps! Thanks so much for the opportunity! These patterns are all beautiful, but I like Braided Irish Chain the best. My email address is ecboeringa@gmail.com Thanks again! It's hard to choose, but I pick Starburst. Email is dlmcc@cablespeed.com. Thank you so much for the lovely gift. Merry Christmas! #109 In Your Neighborhood is my favorite. Thanks for the giveaway! Thank you for your kindness! I would love the boxed in and out pattern, please. super excited that I won the shirt! yay, now how long before my name is "rest" and I can win something again? Thank you so much. I would love to have TRUE NORTH. Email is linda@hooverfamily.net. Merry Christmas! Thanks so much Melissa. I have several of you patterns and your Irish Chain book. I'd like to try out Back to Basics to make some scrappy quilts for Project Linus. I like that it comes in so many sizes. Have a wonderful Christmas. Thanks so much! I'd love to have True North. Happy anniversary! What a lovely thing to do! Thank you. I already have your Irish Chain book and your Trade Winds pattern so I think I will choose Turnovers! It looks like a beginner like me could attempt it! What a generous gift! Thank you so much! I had a tough time deciding, but I would love to have Turnovers. Merry Christmas and Happy New Year! Merry Christmas to you, your staff and your family. Thanks Melissa for your generous gift. I would like In Your Neighborhood to make a play mat for my youngest grandchild please. Thank you very much! You are a talented lady. I come here almost daily to read your blog. I found it hard to chose which pattern to get because there are so many I really like. Please send me The Braided Irish Chain pattern. stitchedfromtheheart@yahoo.com. Thank you for your generosity in sharing your talent. Summer Breeze looks like I have fabric waiting to line up with your lovely pattern. Thanks again and have a blessed new year! I think you give us many gifts over the year. Free tutorials and patterns, a quilt along, tips... but another one is always welcome. Wishing you and your lovely family a wonderful festive season and a happy successful 2016. This is so generous of you! I'd love the 'Back to Basics' pattern please. Nooooooooooooooooooooooooooooooo..... How am I going to pick just one?????? Holiday torture! LOL! Incredibly generous of you. Love what you are doing, keep up the awesome work! Petal Pop Please and Thank you! I would love to receive the True North pattern. Thank you. You are so kind and generous! I'm new to the quilting world. So many ideas! I would love to add True North to my to do list! Thank you. Thank you so much for the Christmas gift. I would like Braided Irish Chain. How generous of you! Thank you! I think I would love True North. Thank you. I would like to make Simply By Design, because it looks really like windows. Gosh, I am so glad that I know you and honored to have you as a blog friend. Thank you for your encouragement and eager enthusiasm. Thank you. So nice of you. I would love Back to Basics. I found your blog through this quilt. I love the quilting on it too. Betsy (dot) smith (at) verizon (dot) net. Merry Christmas! 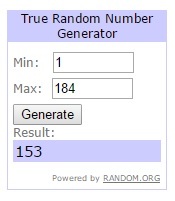 Thank you so much for the pattern give-away! I'd the like Dreaming of Paris pattern, please. Merry Christmas to you and your family! rkvenohr (at) comcast (dot) net. Thank you so much! I would love to receive summer breeze please. So very generous - thank you! Braided Irish Chain please. I love Trade Winds! Thank you so much - Merry Christmas! Thanks so much! Merry Christmas to you and yours. It would be fun to know which one is most requested! Merry Christmas!! I love In your Neighborhood. All your patterns actually!! Wow, what a lovely present! I would love to try Turnovers. I am nancy.sumner@comcast.net. Thank you for your generosity, and Merry Christmas to you and your family! Thank you for the generous gift. I really enjoy your blog and have learned a lot. I really like the pattern Petal Pop. What a lovely thing to offer! I'd love to have Summer Breeze and thanks so very much! I just found your blog from Jo's Country Junction & the 75 Fun FQ Blog Tour. Added you to my Feedly! Love the look of In Your Neighbourhood Pattern. Very generous gift, thank you. Thank you! Merry Christmas! In your Neighborhood please. S2fleming at yahoo dot com. Have a very Merry Christmas !!!! oops - email lnmm@outlook.com, thanks again! Happy Holidays to you and thank you for being so generous with your gift. I am choosing Trade Winds as my gift from you. Enjoy your blog so much and always look forward to your creative ideas and patterns. I love Back to Basics. Thank you for the wonderful gift. Merry Christmas! Wow! I love the Starburst pattern! Thank you! Merry Christmas to you too! How very generous of you! Thank you so much. I'd like Simply By Design. Happy Holidays to everyone and Merry Christmas to you. You made my day, I love free stuff and I'm sitting here with a cast on my hand planning all of the quilting I want to do when I'm healed from my wrist fusion surgery. It was a tough choice between Summer Breeze and In Your Neighborhood, but I'm going to choose In Your Neighborhood. Thanks so much! How generous you are, Melissa! Thank you sooo much.Merry Christmas to you and your family. I would love to have Petal Pop. You're so sweet! I'd love back to basics! oh my gosh, that's so generous of you!! Thank you!! It's really hard to choose but I think I just have to have "In your neighborhood" stucker1261@gmail.com Thanks again!! Braided Irish Chain to aftonwarrick@hotmail.com Thank you so much! I love it when everybody wins. You are too generous! I have wanted one of your patterns for a while so this is wonderful! I had a hard time choosing, but I finally decided on the Braided Irish Chain. It has been a favorite of mine for a while now. Thanks you! What a generous gift! I love "In Your Neighborhood". Merry Christmas! I can't believe what a nice gift you are giving to everyone!! I would love "In Your Neighborhod" and my e-mail is cpunie@sbclobal.net. Thank you so much and Merry Christmas!!! How generous! Thank you so much! I love In Your Neighborhood! Merry Christmas! Merry Christmas to you and thanks for all you do to contribute to this community. One of your patterns was the first I ever followed. Thank you! I would love Dreaming of Paris. Chiskag at gmail dot com Thank you so much! Merry Christmas! I enjoy your blog very much. This is such a nice gift and unexpected, but I would like Trade Winds. My email address is cswilliams1974@hotmail.com. Merry Christmas!